There will be spoilers. Oh yes, there will be spoilers. Here’s a picture of a cowboy hat and if you don’t want to know any more then I thank you for your time and wish you a pleasant day. 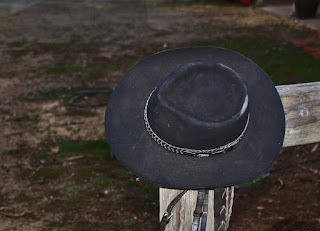 For those who don’t mind a few plot points being discussed then I’ll see you on the other side of this hat. I really haven’t thought this through, I mean, a hat? I promise I’ll do better next time. Still with me? Good. The Ballad of Lefty Brown is a masterpiece of Western genre film-making, and as a huge fan of this particular slice of cinema I don’t say that lightly. 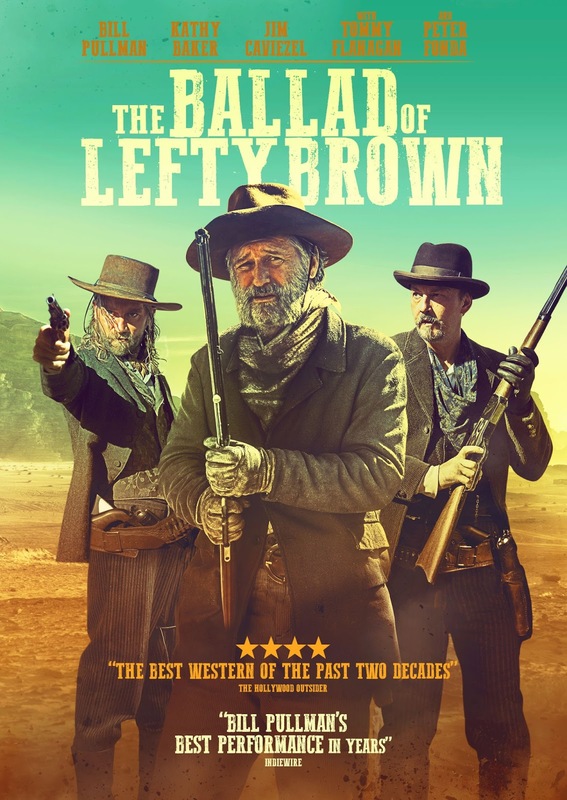 About five or six years ago I watched a film set around a similar time period by the writer and director of this film, called Dead Man’s Burden, and whilst it was an enjoyable watch I found that it promised more than it delivered, so I was worried when I got my review copy of The Ballad of Lefty Brown that maybe Jared Moshe was going to tread a familiar pattern. Happily, I was very wrong. 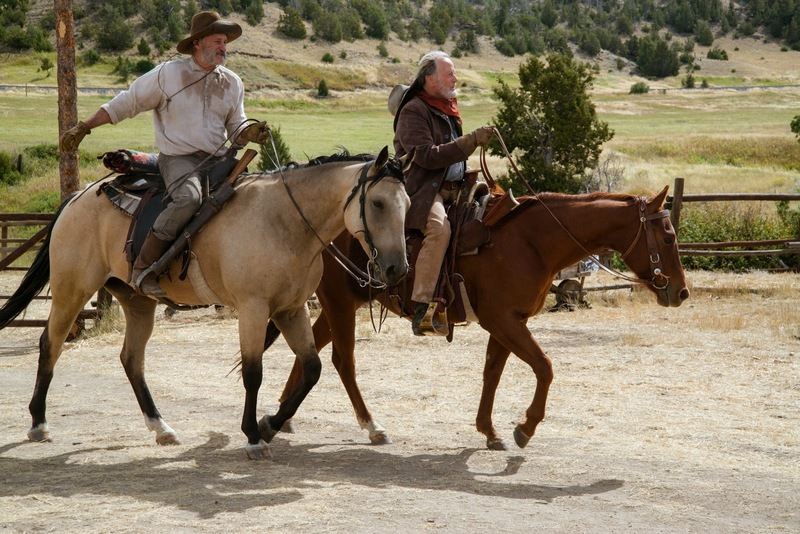 What Moshe has managed to accomplish is a screenplay and narrative that turns the traditional cowboy film upside down, whilst still giving plenty of nods to all that was right in the films that have come before. 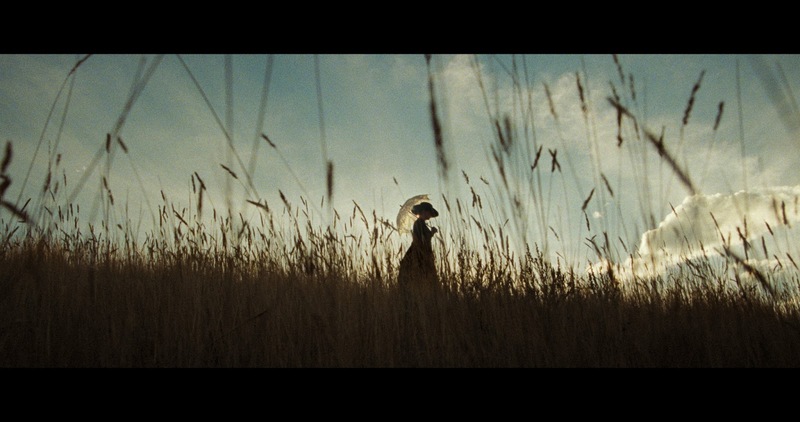 The story I’ll come to in a moment, and the casting will be waxed lyrically later, but a great story and cast is nothing if the film looks generic, so first I must give a shout out to the cinematography. Taking the Montana of 1889 and doing it justice in a modern age was always going to be a challenge but whether it’s the dark, rain filled close-up that starts the movie, or the sunshine panoramic that fill the rest of the film, what Moshe and his Director of Photography, David McFarland (The Black Tulip) have created is a star. The perfect lighting, the perfect scene setting, the wonderful changes of PoV during action scenes, the entire look of the film is truly stunning and would be worth an hour and forty minutes of your life anyway, but the story and the cast just steal the crown from McFarland. 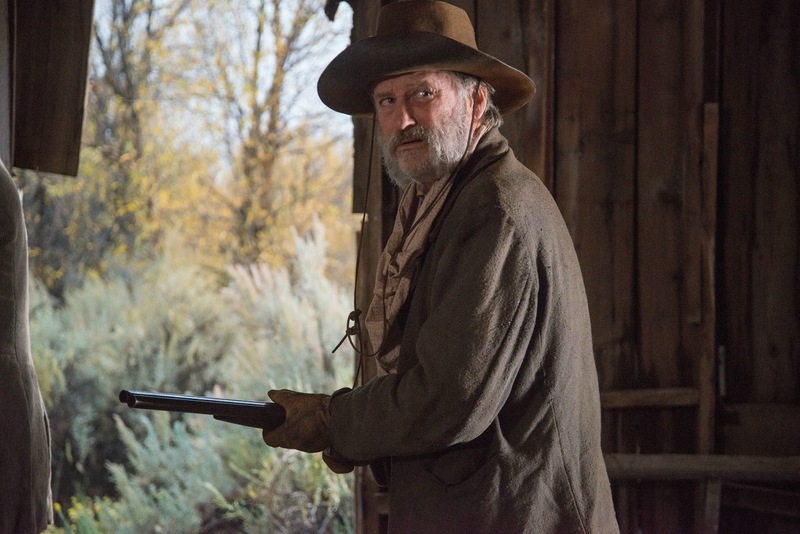 Story wise there isn’t a lot you can do with a western that hasn’t already been done, except take out all the traditional heroes, elevate the least heroic character you can think of, and make a story about humanity instead and that is Moshe has accomplished in The Ballad of Lefty Brown. The so called traditional hero of yesteryear, the lawmaker that knows right from wrong, in this case Peter Fonda’s Edward Johnson, is killed within a few minutes of the film starting and so now we are in western no-mans land with no rightful successor to fill the void. Step forward Bill Pullman’s titular Lefty Brown. Lefty is a simple man, an uneducated man, a man of no discernible skills that appears from the outside to have been Johnson’s right-hand man for thirty some years through loyalty rather than anything else, but whilst no one else is out for revenge or justice Lefty decides that he alone will hunt down the blonde-haired assassin of his soon to be Senator friend. Old family friend of the Johnson’s, Governor Jimmy Bierce (Jim Caviezel), and his pal Marshall Tom Harrah (Tom Flanagan) decide that they will help the widow Johnson (Kathy Baker) and Harrah rides off to find the hapless Lefty before he hurts himself or others, not really taking the simple man seriously. Lefty though has befriended a young man by the name of Jeramiah Perkins (Diego Josef) and the three of them manage to track the evil assassin, Frank Baines (Joe Anderson) to a stronghold where Perkins id injured, and a teetotal Harrah starts drinking again after discovering that the entire killing was planned by the governor so he could cruelly take the railroads money and do whatever he wants in Montana, something Johnson would have stopped had he lived to make the Senate. Harrah runs back to Bierce who pays for him to drink his life away in the saloon, leaving Lefty Brown to tend for the injured Perkins. Eventually there is showdown, Lefty who had been set up as Johnson’s killer by Bierce is exonerated and the governor is hung. What was so extraordinary about The Ballad of Lefty Brown is how rocked you are at the beginning by Peter Fonda’s demise. Such a big star, such a powerful man compared to his simple friend, being gunned down so tragically so close to the start means you’re not sure what’s going to happen next which in a western is refreshing. Jim Caviezel adds some star quality to a corporate businessman character that could quite easily of been a parody and makes the entire plot seem as relevant today as it would have been in the late 1800’s which is great as it does it with very little menace, he seems genuine in his beliefs and his politics and not the growling bad guy you’d expect, that was played marvellously by Anderson as Baines. Tom Flanagan as Harrah has never been better. His tortured alcoholic is flawlessly played and really stokes up the emotions and you must question how you personally would have handled the life he had lived. His portrayal of loss, his inner demons were brilliantly portrayed here and his interactions with Pullman were a masterclass in chemistry. Jeramiah Perkins as a character is a young man out in the wilderness on his own who collects the dime comics that tell the hero stories of the wild west that most films focus on. When he meets Harrah, a man mentioned in many of his tales, he is star struck but conflicted when he discovers that life isn’t always like it seems in his book. His eagerness to please, and dream of being the hero he so cherishes from his stories leads to him rushing judgement and getting himself shot and having to be looked after by Lefty. Diego Josef has a huge career ahead of him, there is not many, especially this young, that can go toe to toe with an actor of Bill Pullman’s ability and match him. Which brings me to Pullman. I really like Bill Pullman, I cannot think of a film he has been in that I haven’t enjoyed and whilst he has played the charismatic lead on occasion he tends to shine in the lesser roles. Here he gets to mix both. He is the eternal sidekick, the simpleton, the comedy value and plays that role with aplomb, but circumstance forces him into the lead role, the star of the story and whilst he eventually gets his man he doesn’t do with any conventional style. Underneath all the simpering and physical ticks, the uneducated foolish exterior, beats the heart of a wonderful human being and Pullman drags this side of Lefty Brown right out into the open for all to see, and does so in a way that leaves me firmly believing that Bill Pullman is in his finest role. That’s quite the compliment when you consider Pullman’s extensive back catalogue but honestly, I was moved, touched, frightened, warmed, left stunned, and any other descriptive word you’d like to insert by Pullman’s portrayal of Lefty Brown. He delivered what was already an interesting and well written dialogue with the skill of an actor of his calibre but backed that up with physical traits that not many actors can pull off. His facial expressions, especially when delivering a line, take the words and the story and raise them up a level, his physicality during every scene whether walking funny, or panicking and trying to hide, or being surprised during a gun battle are all top drawer quality, and Bill Pullman has taken a very good story, a very beautiful film, and a film that would probably have been great without him, and made it an epic. The last time I was this surprised by a performance in a western it was 1993 and was Val Kilmer’s take on Doc Holliday. In fact, the last time I was this stunned by a western it was probably Tombstone. Add in an evocative score from H. Scott Salinas (City of Ghosts) and I think you’ll find The Ballad of Lefty Brown is up there with Tombstone in terms of quality, enjoyability, casting, writing and look. A truly epic take on a genre that now feels refreshed.